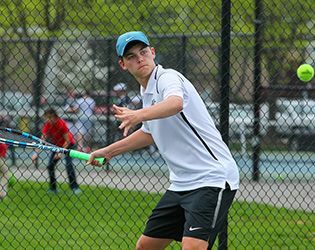 Varsity boys' tennis joins the list of varsity and Middle School home games for Thursday's Spring Fest. Other activities for the day include a barbecue with chef Mike Wendell, ice cream, a play-by-play announcer and chances to win GSB spirit items. Students are encouraged to wear Spring Fest t-shirts or other GSB spirit wear to school on Thursday. Among the varsity games, baseball and softball are Skyland-conference matchups. A win for softball will guarantee a conference title this year. A complete game schedule will be posted Thursday.